Our own Sheryl Aronson has been working as Soul Records, Director of Communications and announced today that Soul Records has now launched its official website. At SoulRecordsllc.com you can check out their photo gallery, videos , articles on artists, music events, up-to-date information and learn about the history of Soul Records. 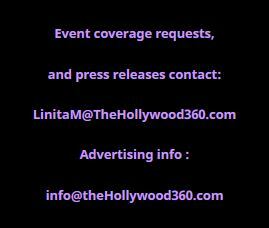 The Hollywood 360, is happy to be the official publication to bring you articles, events, and up to date information about Soul Records artists. Sheryl Aronson is an award winning entertainment reporter for The Hollywood360 and also has a blog, "Arting Around" in Agenda Magazine. She is a published author of the Memoir, "Passing Myself Down to the Grave," and is in private practice as a Marriage, Family Therapist in Los Angeles and Orange County.